It’s tax time once again, bringing with it a dreadful byproduct of the season: tax scams. Yes, tax scams pose a threat to consumers all year long; however, taxpayers are particularly vulnerable during this time of year as they race to file their paperwork on time. Understanding some of the most common tax scams can help ensure you don’t fall victim to this ever-increasing crime. Most importantly, the IRS will never threaten to contact law enforcement should you not pay the bill over the phone. 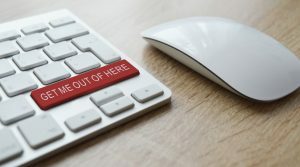 Phishing occurs when taxpayers receive fraudulent emails that direct people to click on phony Internal Revenue Service websites, so they can swipe the user’s personal information for future use. Some versions of this IRS phishing scam may also include attachments with embedded viruses that instantly launch a data breach or cause damage to your devices. The content of the phishing email is essentially the same as the phone call. Some inform readers that they’re entitled to a tax refund, some detail a payment must be made – whatever the “bait,” the piece will try to lure you to a link to click so the virus can set to work stealing your personal data. One of the best ways to protect yourself during tax season? Partner with a reputable, professional tax preparer. A qualified accounting firm will have the insight and experience needed to advise you throughout the entire tax filing process to keep you and your private information safe.